Anacheilium trulla is a nicely scented orchid that is widespread and has variability throughout its range. 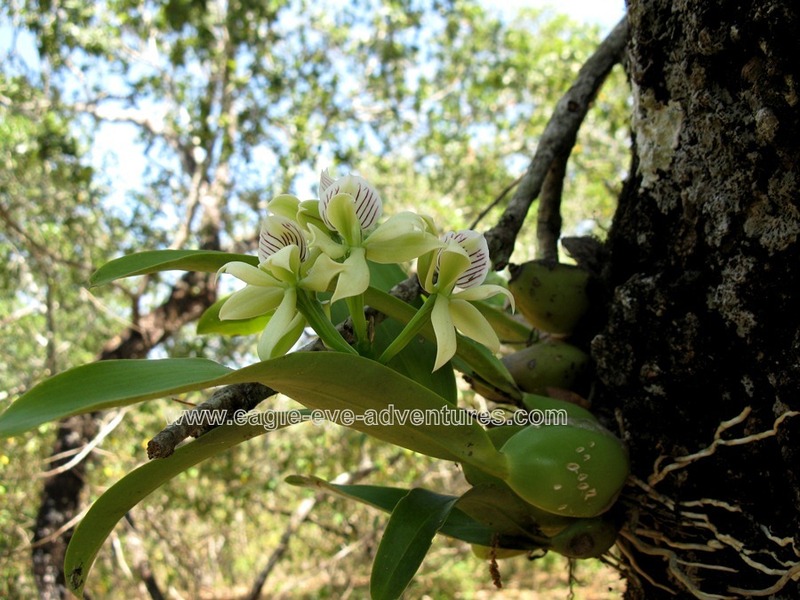 Here is a nice, blooming specimen growing on an oak tree in the hills near the Vallarta Botanical Gardens. It is amazing how many different species of orchids and bromeliads grow in this fantastic region just south of Puerto Vallarta. Once you start climbing up into the mountains of Cabo Corrientes many botanical treasures start appearing.